The British Newspaper The Independent has reported that a team led by underwater archaeological explorer Barry Clifford found the wreck of the Christopher Columbus' flagship, the Santa Maria which sank in 1492. "All the geographical, underwater topography and archaeological evidence strongly suggests that this wreck is Columbus’ famous flagship, the Santa Maria," said Barry Clifford. This discovery will be one of the world’s most important underwater archaeological discoveries. 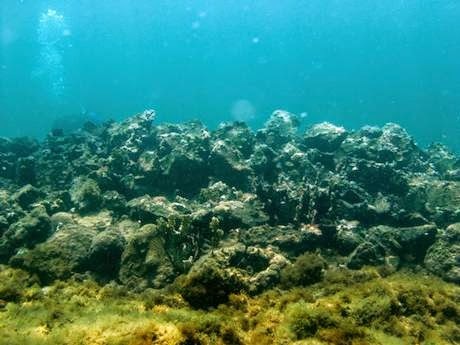 “The Haitian government has been extremely helpful – and we now need to continue working with them to carry out a detailed archaeological excavation of the wreck,” Barry Clifford said. Clifford was able to use data in Christopher Columbus’ diary to work out where the wreck should be. Using marine magnetometers, side-scan sonar equipment and divers, Mr. Clifford’s team has, over several years, investigated more than 400 seabed anomalies off the north coast of Haiti and has narrowed the search for the Santa Maria down to the tiny area where the wreck, which the team thinks may well be Columbus’ lost vessel, has been found. The investigation into the wreck is being supported by the American TV network, the History channel. Santa María was the largest of the three ships used by Christopher Columbus in his first voyage. The Santa María was probably a medium sized nau, about 58 ft (17.7 m) long on deck. It had a single deck and three masts. The Santa Maria was built at some stage in the second half of the 15 century in northern Spain’s Basque Country. 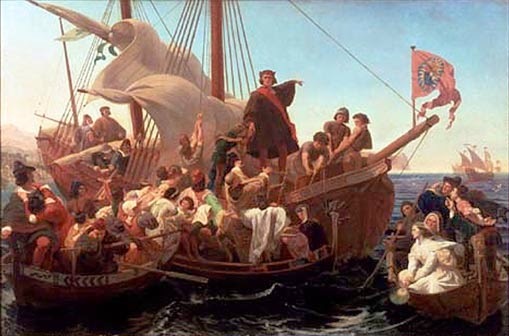 In 1492, Columbus hired the ship and sailed in it from southern Spain’s Atlantic. After 37 days, Columbus reached the Bahamas. But after few weeks Santa Maria drifted at night onto a reef off the northern coast of Haiti and had to be abandoned. Many countries celebrate Columbus Day on October 12 which marks the landing of Columbus in America at the year of 1942. We can read Quotes of Columbus here.